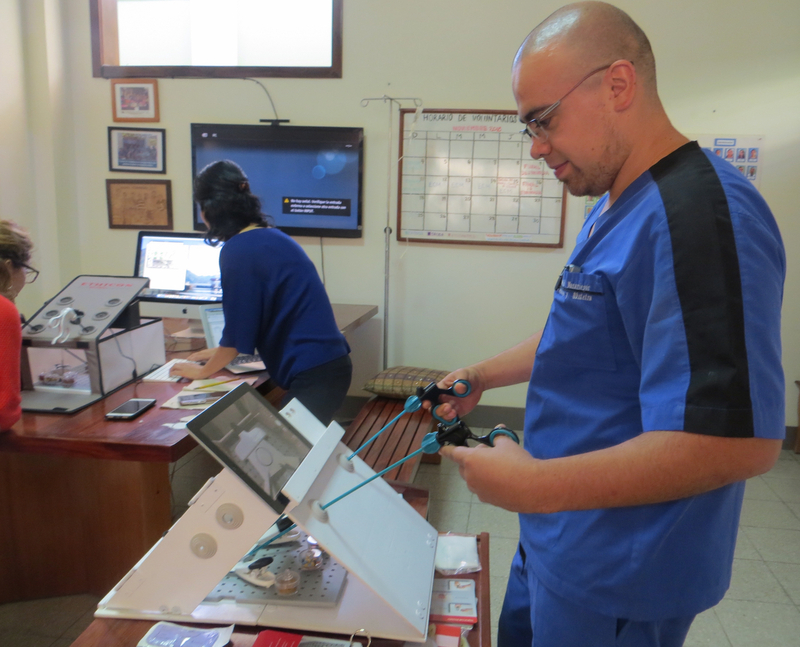 Hospital Atitlán provides a wide-range of medical education for the staff and community. Every year, the staff receives training on the management of biomedical hazardous waste. Guatemalan medical personnel receive regular training from government educators on updates in immunization and other important topics. Hospital emergency room doctors and paramedics provide training in CPR for staff and local rescue company members. This six-year project, funded by the World Diabetes Fund, is training local healthcare workers in the prevention and management of Type II diabetes. It has also strengthened 22 clinics throughout the department of Sololá to provide regular blood sugar monitoring for local residents with the disease. 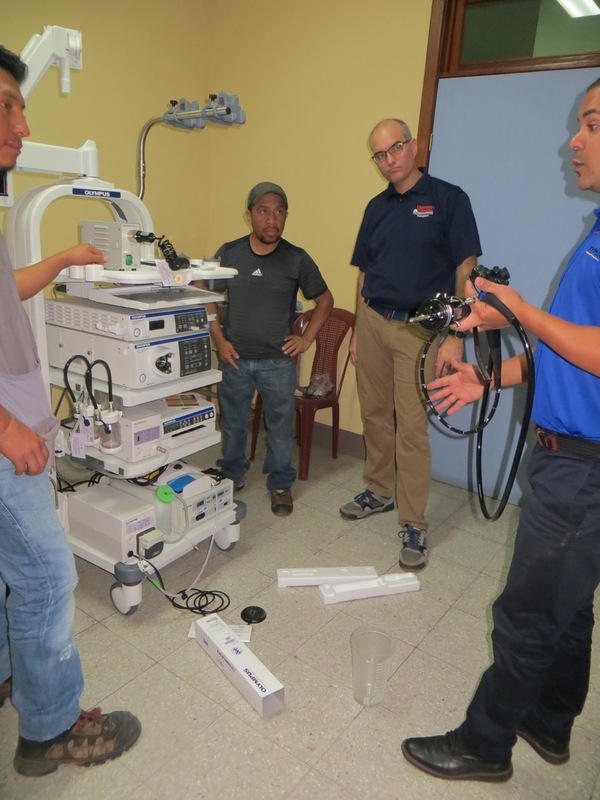 Hospital maintenance staff receives training in the management of the oxygen system, generator, water filtration system, battery backup power, solar water heaters and solar panels for electricity and medical equipment. Our scholarship recipients are required to present talks to staff on current medical trends in Guatemala and other topics of importance. Each morning, staff meets to discuss patient issues. The session includes a short lecture by a fourth year medical student on the topic of his/her choice. Dr. Esther Han began a project in 2018 “Bringing Minimally Invasive Surgery to Rural Guatemala,” a collaboration between Hospitalito Atitlán and the Department of Obstetrics and Gynecology at Columbia University Irving Medical Center. The hospital nursing coordinator and volunteer nurse educators build the capacity of our nursing staff through presentations at staff meetings. During a month-long volunteer stint, nursing students work side-by-side with staff nurses and physicians to get practical hands-on experience. 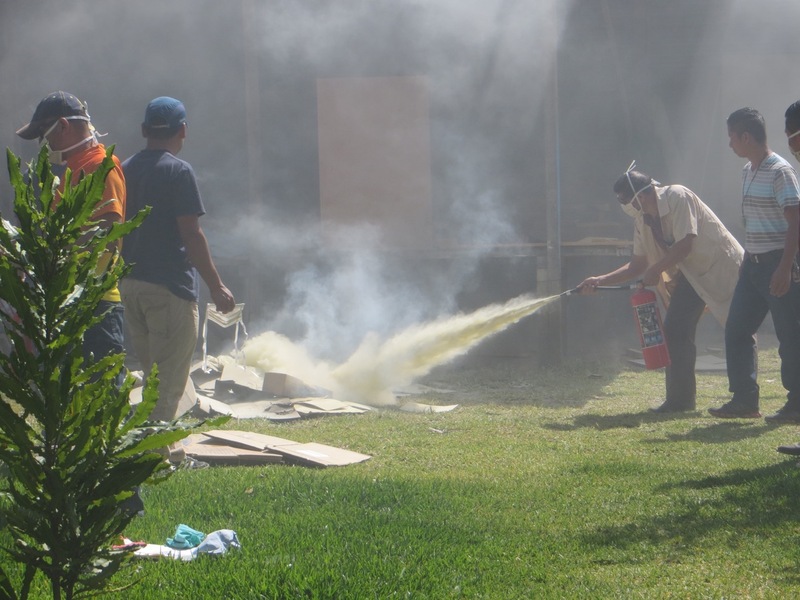 Staff receive training in management of biomedical waste, housekeeping and firefighting. Beginning in 2005, the hospital became involved in monthly training of 34 local traditional midwives as required by the government health department. HA brings in specialists to lead trainings including obstetricians, neonatal resuscitation specialists, professional midwives, nutritionists, and others. Spanish language videos on dental hygiene for children and adults are screened in the hospital waiting room. The University of Pennsylvania has created a Tz’utujil language video instructing patients with respiratory disease on how to use a steroid inhaler. 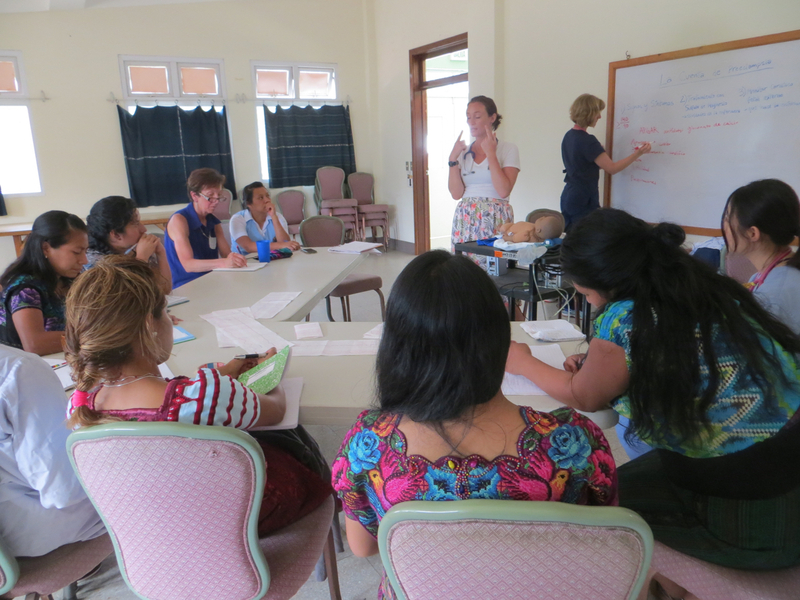 The hospital offers monthly classes for mothers participating in its Maternal Infant Sponsorship program. Hospital doctors take time during consultations to help patients understand and manage their illnesses.